Thirty years ago, you could count the number of specialty drugs available on the market with both hands. Today, that number has skyrocketed with hundreds in the market and thousands in development. These therapies represent important advancements in treatment options for patients with cancer and other complex diseases. Yet, as healthcare costs continue to swell, stakeholders in every corner of the healthcare landscape are seeking ways to contain costs. For pharmacy benefit managers (PBMs) and health plans, implementing co-pay accumulator programs can draw down insurer costs by requiring patients with high-deductible health plans (HDHPs) to pay a larger share of the costs for specialty medications. While developed and marketed in part on the premise of encouraging the use of generic alternatives, these programs are implemented regardless of the availability of a generic option. Just as PBMs and health plans are looking to reduce healthcare spending, patients also seek cost savings. HDHPs typically offer low monthly premiums compared to other plan options in exchange for a higher deductible. Popularity of these plans has increased with enrollment reaching 47 percent of the commercially insured, pre-Medicare population in 2018. While HDHPs can be a great tool for people with low benefit utilization to save on premiums, they can leave patients who are managing complex and chronic conditions, particularly those prescribed specialty medications, with high out-of-pocket expenses. This year many employer health plan changes established during the 2018 open enrollment period will take effect. Deductibles and out-of-pocket costs for patients are also often reset for the new plan year. During this time, accumulator programs have the potential to disrupt patient access to specialty medications. How are patients impacted? And what action can be taken to address the rising impact of co-pay accumulators? 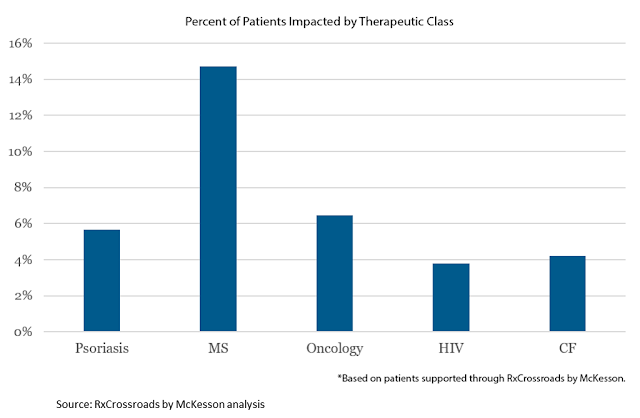 Across many therapeutic categories such as oncology, multiple sclerosis, psoriasis, HIV and cystic fibrosis, patients enrolled in HDHPs rely on biopharma-sponsored co-pay programs to help afford their specialty medication. Co-pay accumulators often block biopharma-sponsored co-pay savings benefits from counting towards a patient’s annual deductible and out-of-pocket maximum. This poses an adverse impact on adherence to medication regimens, especially when a support mechanism is not in place. According to RxCrossroads by McKesson’s analysis, patients impacted by accumulator programs fill their prescription 1.5 fewer times than patients who are not enrolled in HDHPs. 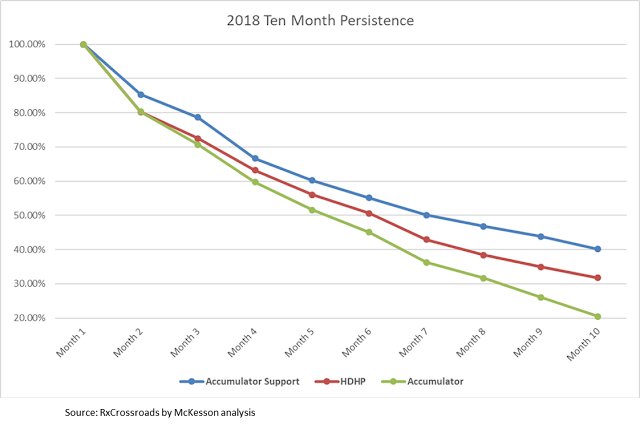 More importantly, accumulator patients have an estimated 13% drop in persistence between month 3 and month 4, meaning as patients reach the annual cap for biopharma-sponsored co-pay benefits, more patients discontinue therapy. The impact of co-pay accumulator programs is real and significant. It forces difficult decisions on patients living with chronic and complex conditions who have no generic alternatives for their prescribed specialty medications. Not surprisingly, we are seeing heightened concern from patient advocacy groups that are challenging the use of accumulators, and recently states including Virginia and West Virginia have legislated to ban the use of accumulators from individual and small group healthcare plans. In the face of accumulator program growth, biopharma companies will need to be more than just vigilant. They will need to decide if they will help impacted patients and to what degree. We anticipate the use of accumulator strategies by PBMs and health plans to increase, thus presenting more patients with cost exposure challenges. This could leave many patients choosing to stop or decide not start therapy altogether. Supporting patients will require biopharma companies to design the right support, delivered at the right time to each patient, to ensure commitments are targeted and sustainable. Listen to those who are impacted. Consider creating a board of patient advocates to understand their challenges and experience with accumulators. Educate stakeholders. For patients who fall in targeted therapeutic categories, educate them about co-pay accumulators – what they are and what to look for. 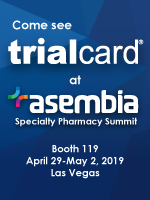 Support them as they are selecting their plans and throughout the plan year about co-pay accumulators and identify options to improve adherence. Stay educated yourselves. Stay informed about health insurance trends and tactics, with an emphasis on understanding how they impact patients. Design patient-centric programs. Create solutions that are customized to individual patient exposure. 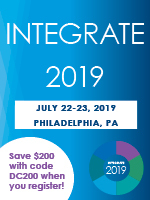 RxCrossroads by McKesson is working with biopharmaceutical companies to find solutions that address the rising threat of co-pay accumulator programs through proactive, patient-centric support. Download our white paper to learn more about the impact of co-pay accumulators on patient access to therapy.